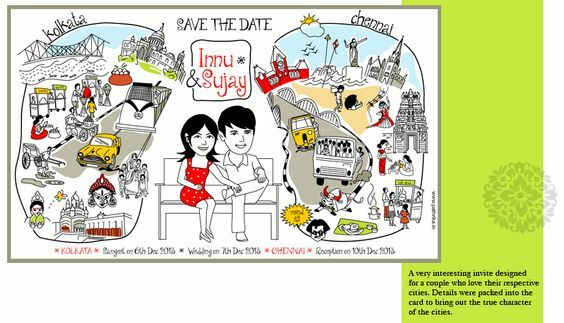 If you’ve been following us for a while now, you’d know all about our never ending love affair with creative, fun, wedding invitations. 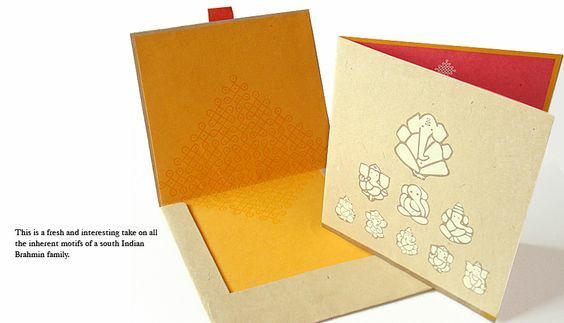 Today, we’re featuring another wonderful graphic designer who makes beautiful, out of the box wedding invites, so without any further ado, here’s Mekala Murali of Pathrika Cards! How and when did Pathrika come about? I had been designing invitations for all sorts of occasions for family and friends for quite sometime. So when I quit my job as a designer, not knowing what the next step would be, my husband just winged it saying “you do such a good job of coming up with these invites that you should just do it for living”! So, thats it. Pathrika happened immediately after. As a business venture (by which I mean I was actually making money doing it!) it started in April 2012. I had been a designer for a firm for about 5 years before that. The experience really helped in interacting with clients directly and taking up projects one after the other. There were no hiccups really. What are the various design styles that you use? I do a lot of caricatures and cartoons because that’s what the clients like most often. But if you look closely, almost all of my invites are strongly inspired by Indian folk art forms like Warli, Madhubani, Phad painting, Kerala murals, Pattachitra…well pretty much any folk art form of India. I love the quirkiness of Indian folk art forms and taking them out of a typical context gives them a character and beauty that you wouldn’t expect to see in a regular wedding invite. I learnt a very strong lesson from my old boss/mentor that colors play a huge part in design. So I use an unusual and unexpected color palette to dress up the invite. Do you have a specific card you call your favourite? What do you enjoy about the design process? I don’t have a specific favorite because I fall in love with pretty much every card I design. Each illustration is sketched on paper and then taken to the computer where it is redrawn. Colors are then added and tweaks are made. By the time this process ends I am in love with the card! I try not to send out an invite design till I am fully happy and satisfied with it. There are a few exceptions but its better to not discuss those in a public forum.